Ants are more successful when they are selectively industrious, researchers find. 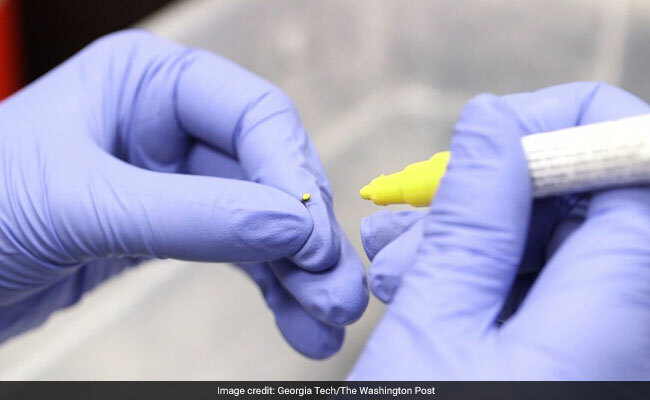 Researchers at Georgia Tech study color-coded ants. This one's going to be yellow. The researchers studied groups of 30 color-coded ants digging tunnels in glass-walled containers in a laboratory. About 30 percent of the ants did 70 percent of the work. Some ants did very little or nothing. When the researchers removed the most hard-working ants, some of the previously less-active ants stepped up their game and began working harder. It appears that industriousness is not an individual attribute but a defined role. It's like a job title: heavy lifter. When excavating a tunnel during the frenzy of nest-building, the tunnel face - the deep end of the tunnel - can get crowded. That can cause traffic jams. What the researchers noted is that some ants turn around and leave the tunnel without doing any work. These reversals limit the potential for clogging up the works. "What the ants have discovered is pretty close to the best way to do it. You need the idleness distribution and the appropriate amount of giving up," said Daniel Goldman, a Georgia Tech physicist who runs the lab and is the senior author of the new study. "It's a nice example of where doing less gives you more. And perhaps the most," said Ofer Feinerman, a physicist who studies ants at the Weizmann Institute of Science in Israel and who was not involved in the new research. "It seems the ants do the best that they could have done." This kind of investigation could lead to improved designs for robot swarms. For example, multiple autonomous robots may need to enter buildings destroyed by earthquakes to look for survivors. Such efforts "could benefit from simple strategies that involve labor inequality," the new paper states. "If you wanted to have a system of diggers dig in a confined area, you don't want to throw them all at the same tunnel. You want to have them selectively participate and not participate based on these physics-inspired rules," said Nick Gravish, a University of California at San Diego professor who studies ant biomechanics. Gravish earned his doctorate under Goldman at Georgia Tech but was not involved in the current study. "There's a positive feedback between how successful an ant is and her tendency to repeat the task," he said. Gravish, who builds robots inspired by insects, said of ants: "They're far more complicated than robots. I wish we could get even close to the complexity of ants."